King’s Garden is located in the Lido area and contains around 800 European style villas ranging from a 180sqm 3 bedroom layout to a 407sqm 4 bedroom layout. The compound has a 95% green rate giving it beautiful scenery and a lake view. The villas come semi detached and detached and have big bright rooms, open kitchens, private gardens, with some having a basement. This compound is popular due to its peaceful environment and excellent location in the heart of Beijing, and is home to a lot of nearby Embassy staff. 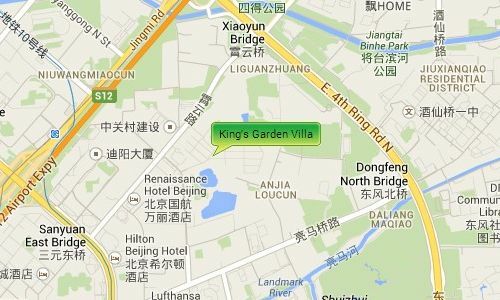 King’s Garden is near to both the airport expressway and the 4th ring road, giving it easy access to the city airport and other main destinations within Beijing, it is also very near to an IKEA store. Lido is a fast growing expat community due to its location to the airport and to other popular areas like Lufthansa, CBD and Sanlitun giving it easy access to a vast range of restaurants, shopping malls, supermarkets, health centers, and popular bars. 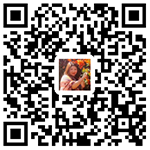 It is also close to Lady street shopping mall where you can buy plants, pets and traditional Chinese furniture.